Most people already have their minds made up about Miller Lite–you either love it, or you hate it. The haters have labeled Miller Lite as a “cheap watered down” beer that doesn’t stand up to other beers. Idiots. While I understand that there are better beers out there, I contend that Miller Lite is the best of the “majors” when it comes to beer. It actually has a good color to it. When compared to the Michelobs and the Bud Lights of the world, its actually quite a bit darker. 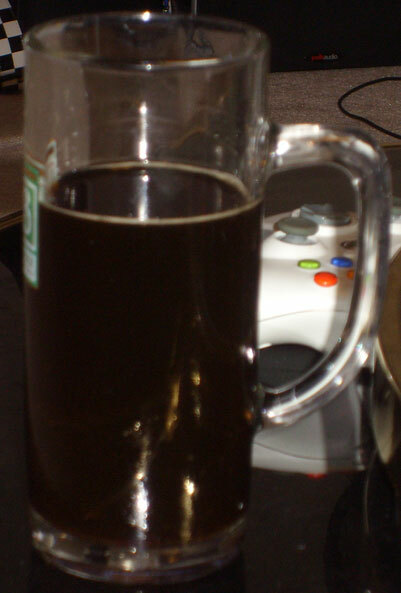 (Use your imagination here, and pretend that I have a picture of three beers, and one is darker than the others). There is no heavy alcohol taste to it, but there certainly is a flavor. The best that I could describe it is a natural Cheerio-oat-y flavor. Miller Lite actually has a respectable 4.2 percent alcohol content. Yea, you thought it was less than that, didn’t you? Snob. Today we have a special Double Deuce – Double Deuce! Two reviews of 22’s in one poo! The Lagunitas Imperial Stout is fantastic. Great look, smell, and taste. It tastes very rich and thick. None of the flavors are too overwhelming, and they’re balanced really well. It weighs a hefty 8.2% ABV, which is typical for imperial stouts, but this has so many flavors going on, you don’t get a heavy alcoholic taste. There wasn’t much carbonation, so no crazy head. It’s almost as dark as our coke table, as you can see here. The aroma is exactly what you’d expect for an imperial stout. Overall, the Lagunitas Imperial Stout is a fantastic brew. Great malty and roasty flavor. I’m a big fan of imperial stouts, and this is definitely going on my “if I’m in the mood for an imperial stout and this beer is available, then I’ll probably have one” list. I’ll give it 4 out of 5 poos. I’ll have to admit, I’ve had this one a few times before. It’s one of my favorites! This one is actually at the top of my “if I’m in the mood for an imperial stout and this beer is available, then I’ll probably have one” list. It’s really freakin’ good. The Yeti Imperial Stout has a rich, thick, and malty taste. So thick, so dark, so complex. Much like the Lagunitas above, this one has so many different flavors going on. No one flavor sticks out, but they all come together so well. When I drink this one, I take a sip and let it sit around in my mouth for a little bit longer to try and absorb as many flavors as possible. The Yeti is really intense, but so easy to drink. Yeti Imperial Stout looks even darker than the Lagunitas Imperial Stout! 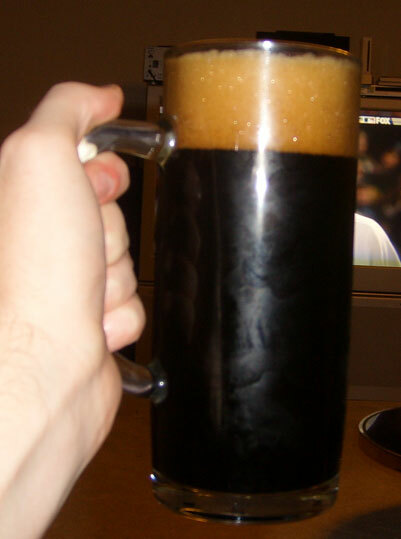 It’s got a bit more carbonation, too, as you can see here with the large, thick, dark-brown head. I wasn’t expecting that much head when pouring it. Yeti also has a lovely smell. A very malty, earthy aroma that just gets your taste buds ready for awesomeness. Overall, I love the Yeti Imperial Stout! It’s really rich, thick, dark, and tasty. I highly recommend trying it if you see it somewhere. Definitely a 5 out of 5 poos! Much like the beers, dark, thick and smooth. It all came out pretty quickly. It did make the pee look a little light, so the darkness of the poo really shows. 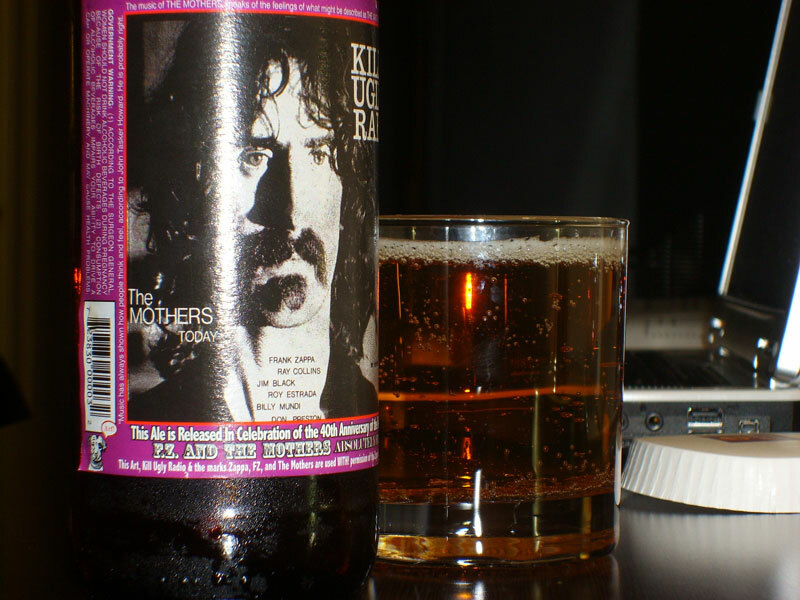 Finally, an ale worthy of putting Frank Zappa’s name on it! Kill Ugly Radio is from the Lagunitas Brewing Company for the “celebration of the 40th anniversary release of F.Z. and the Mothers ‘Absolutely Free. '” I found this beer at a little liquor store while in Austin, TX for work. It has quite a unique IPA taste. This beer is nice and clear, but not pale clear. A rich amber color. Not too carbonated, either, but it has enough. This bottle gets even more attention than the beer itself. The label features the cover of the “Absolutely Free” album along with a quote from Zappa. It’s the only reason I picked this one up, to be FRANK! That’s terrible. I’m sorry. The taste is unique, that’s for sure. It appears to be an IPA, but there’s no mention of it on the label. It has a sweet, citrus flavor at first, with a clean, long-lasting bitter finish. What makes it unique to me is that it doesn’t have the strong aftertaste that you normally get with many IPAs, especially the high alcohol ones. Kill Ugly Radio weighs in at 7.8% ABV, but it doesn’t taste that high. You don’t get an overly alcoholic taste here. You get an all-around, great flavored beer! From start to finish, it’s full of flavors that you just want to keep on putting in your mouth! MMmmmm! Explosive, to say the least! When you first sit down, BAM! All kinds of poo coming out of ya. This actually woke me up in the morning! I’m not sure what’s more to blame, though. The beer or the food? 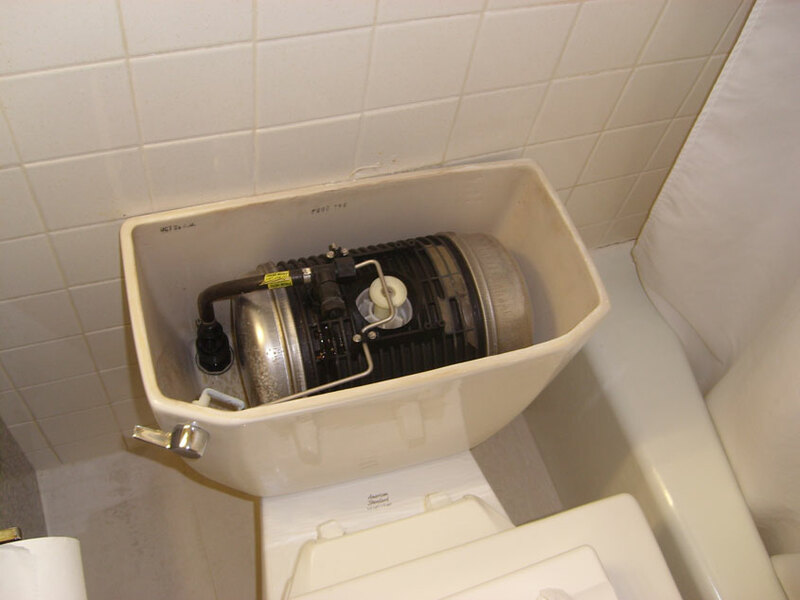 This poo had a couple of other brews in it (which will be showcased soon), so I can’t let Kill Ugly Radio take complete credit for this monstrosity. However, I feel that Kill Ugly Radio did add a tiny cooling sensation. The food I ate for dinner the night before was a pulled-pork BBQ sandwich and some sushi. Two very different flavors… but I wanted them both, so I went for it. That’s right! 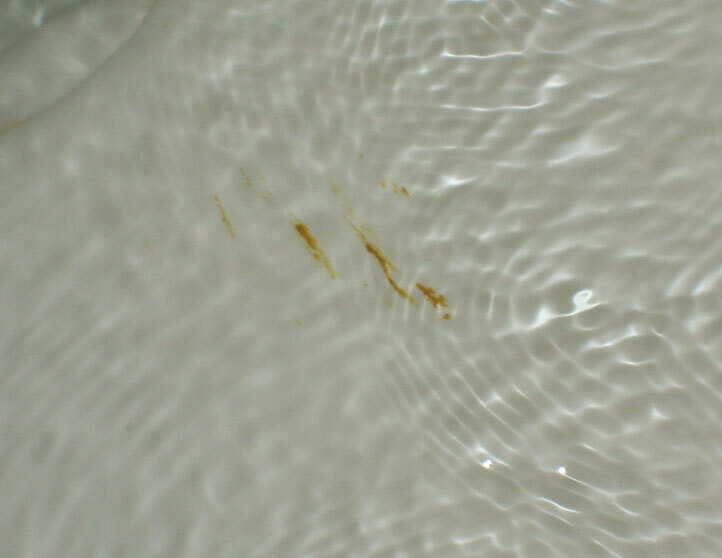 Even after flushing with the “Flushinator” streaks survived. That’s one tough poo. I enjoyed Kill Ugly Radio a lot. It had a very unique taste that was delicious. I’d recommend it for an interesting IPA taste. I’ll also give it… 5 Poos!